Today, Roach-Carter wants to revive the defunct organization. He hopes that QPOC will be able to return to SF State as soon as the fall semester of this year, or around spring of next year. Roach-Carter explains that the current goal of QPOC is to be officially recognized on campus. Queer People of Color (QPOC) need their own safe space within the LGBT+ community. Currently they are sharing the office with the Queer Alliance (QA). The return of QPOC sheds light on the normally white-centered LGBTQ movement in America. Often, there are personal struggles within the LGBTQ community can be overlooked. In a way, it rings back to the early days of feminism, when white women were pretty much the only voices that were heard within that movement. Since the beginning of the LGBTQ movement, queer people of color have not been represented as equally as white voices within the community. It wasn’t until 2017 when the iconic rainbow flag—first designed by Gilbert Baker in 1978—was given a black and brown stripe to represent LGBTQ individuals of color. This is just one small step in giving everyone within the queer community an equal voice. This new flag design can be seen hanging in front of the QTRC in the Caesar Chavez building. Solis says that the QTRC gets a lot of students who come in to ask if there are resources for queer people of color. Milan Barranco, a current member of Queer Alliance at SF State, opens up about her struggle as a queer person of color. Barranco believes that it is extremely important to recognize the minorities within the minority. She is one of the many students who stand at the intersection of discrimination and disadvantage. 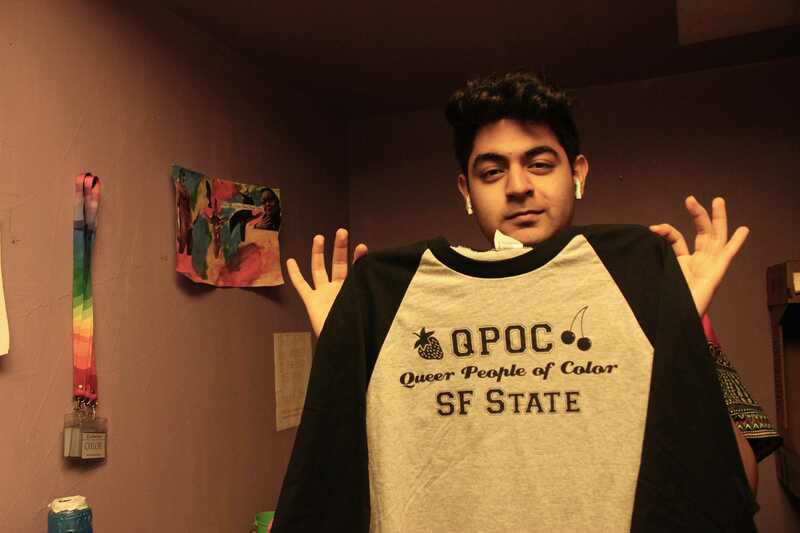 Even though there are many queer groups currently on campus, they still are not fully representative..
Ashesh Arora is another student who sees the need of more spaces for people of color. He was born and raised in Phagwara, a small town in northern India in the state of Punjab. 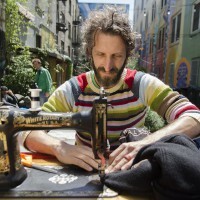 He moved to San Francisco late last year. “Queer identities are vast and community building is important, especially today,” says Arora. 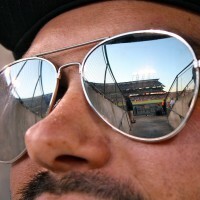 He says that he was able to finally be proud of his sexuality once came to the United States. 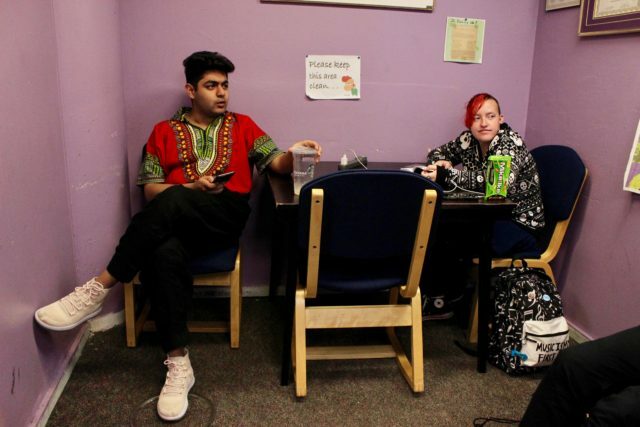 Ashesh Arora, the Director of Events for the Queer Alliance, and Mikayla Byers, an Interior Design major share a table in the Queer Alliance (QA) which has become a space for Queer people of Color (QPOC) to gather in a safe enviornment. Hamill says that QPOC was just one of the many groups that came about after Queer Alliance was founded in 1969. 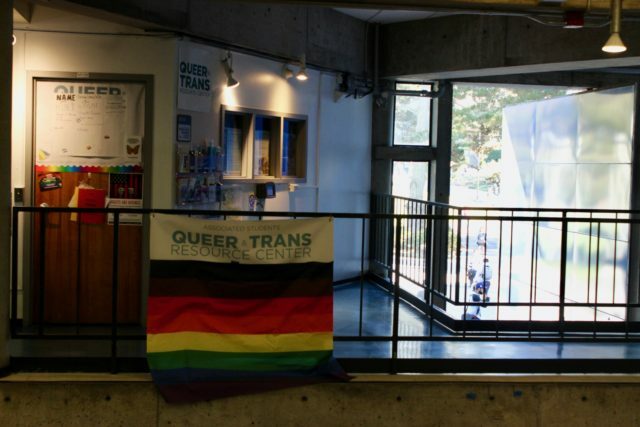 “Members of the Queer Alliance felt like there was no queer spaces for people of color on campus, and so they decided to be that,” says Hamill. 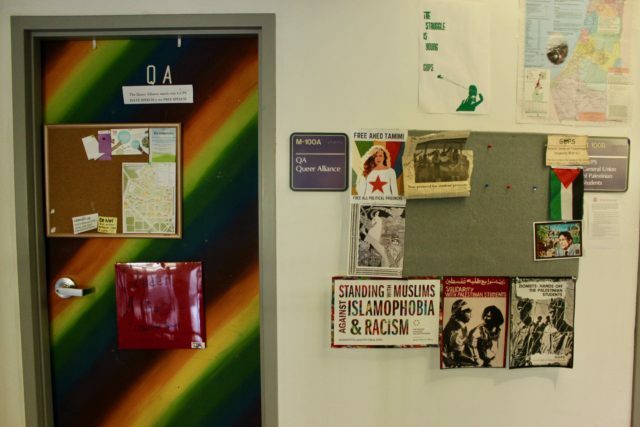 In their past iteration, QPOC hosted several events designed to raise awareness on campus. These included variety shows, game nights, a research symposium, a skate-a-thon, and even a speed dating event. Historically, QPOC and QA operated from the same room. If all goes according to plan, that will be the case again, with the two groups sharing a space on the second floor of the Caesar Chavez Student Center. The return of QPOC came about because of growing demand on campus.